PPS Hosted requirements and security information for our cloud based software. We have an on-site generator with 5 days' supply of fuel which provides us with full capability to sustain long power outages. Our UPS system (operating in at least n+1) ensures a clean electrical supply; it also provides us with the ability to manage load until the generator starts up. Air conditioning is provided by under floor cooling. The capacity of the equipment is such that a failure of one unit can be handled by the other units. A full VESDA system that provides early detection of smoke is in place so that any potential fire is detected before it can develop. In the extremely unlikely event that a fire does develop, an FM200 fire suppression system is in place. Our PPS Hosted servers are UK-based and are located at the Manchester Technopark. Our service is hosted on the highest standard of Dell servers and networking equipment with resilient fibre entering the building at multiple points onto the Manchester fibre network. This means that you will get fast access to our servers whether you are in the UK, Europe, Asia, America or Australia to name but a few. Our provider is BS 25999 compliant and our servers run on a 100% power availability SLA (Service Level Agreement) and a 99.95% network connectivity SLA - this includes external connectivity and not the usual companies that state 100% but note in the small print that this is for internal connectivity only. In the event of a hardware failure, any item will be fixed or replaced within 1 hour, however due to the nature of our infrastructure, if one of our servers does have an issue you should not be adversely affected and usage of PPS should not be interrupted. We understand that losing an entire days' worth of data and reverting to last night's backup just isn't good enough. So as part of our PPS Hosted service, we provide a managed backup solution with a unique automated Continuous Data Protection (CDP) solution to ensure that your data is backed up every 12 hours as a minimum with no disruption to your PPS system. This all runs over a private fibre network to an off-site disaster recovery facility where your data is backed up to highly resilient servers with fast RAID50 storage. We have a dedicated out of hours service which is manned 24/7 in case of emergencies. We will be able to assist you if, for any reason, you find that you cannot access your PPS Hosted system. You can raise a ticket via our Support page. Our hardware and servers services are pro-actively monitored 24/7 and any issues are dealt with there and then, day or night. Our servers have dual power supplies fed from multiple breakers and alongside our incredible backup service, all data on the actual servers are stored on mirrored hard disks (RAID1 or RAID10). Our hardware infrastructure is also designed to be resilient as possible, with specific services running on entirely separate servers that are also then replicated. This helps ensure that if we do have any server issues, it should not affect your concurrent access or use of PPS Hosted. Our provider is ISO 27001 certified security on site 24/7/365 with off-site backup to deal with any major event. CCTV cameras, motion detection and a key fob access system ensure multiple layers of security and peace of mind. Our servers have an Enterprise-Class firewall in place with a bespoke strategy continually developed closely with our provider. We can also provide you with N3 Compliance security should you need this for NHS data. We understand that security is key to an online system. 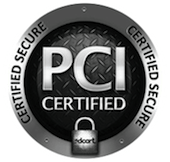 Our PPS Hosted system includes a two-step verification process as standard. We go one step further though, and offer the option of a third step by way of hardware verification. It's quick and easy to use and it means that even if someone knows your passwords, they won't be able login without your smart phone. This is an optional feature so please contact us if you would like to know more. Our servers run on a high hardware spec which means PPS runs as fast as it possibly can. If you are an existing PPS user with a locally installed system and have moved to our cloud-based PPS Hosted system, you should notice a significant speed improvement within the software. Our servers are managed and monitored by a team of Windows Server and Networking experts to ensure optimal performance is available at all times. We have not only chosen our data center and server provider based on reputation and reliability but also on company ethics. We find it important that the companies we collaborate closely with share a lot of Rushcliff's own philosophy and beliefs. We're happy to have chosen a member of the iomart Group as that provider. Can I access it from different locations? PPS Hosted is so flexible that you can access it from anywhere in the world with an internet connection. Can I access it from different devices? What is a Kingsoft licence? You will need this to open letters or documents, it is just like Microsoft Office. Kingsoft is included in the monthly cost of PPS Hosted. If I have a single user system, can others access it at the same time? You can share the same login however only one person can access the database at any one time. Can I access PPS Hosted using a web browser? PPS Hosted is accessed using a Remote Desktop Connection. PPS Express is our web browser alternative. What happens if I can't access system out of hours? Simply use the contact form found at our Out of Hours page and someone from our experienced Support Team will be in contact as soon as possible. No you don't as we take full backups daily. However you are always free to take your own additional backups whenever you want.